of Sunburst, or Starburst Mirrors? or do you think retro and ho hum...? and then learn a little "history". antique dealers re-purposed church possessions for their own use. ARE reminiscent of old French antiquities. 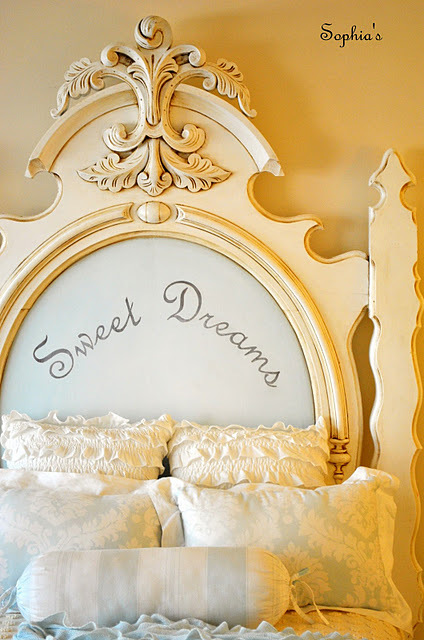 with an amazing bed, settee, and dresser; just beautiful! on Subway Signs. just love this! 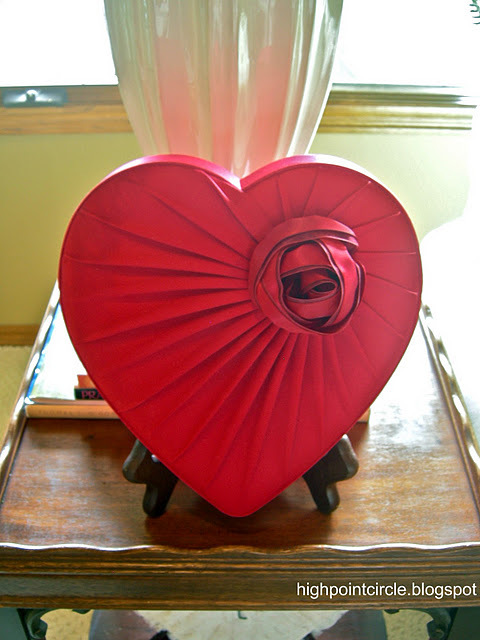 Godiva Valentine Heart boxes have me on the hunt for more! and bring sweet memories to transport me to my childhood. Such was the visit to Laurie's farmhouse for a "wintry gift". OK now, what's been inspiring YOU this week? 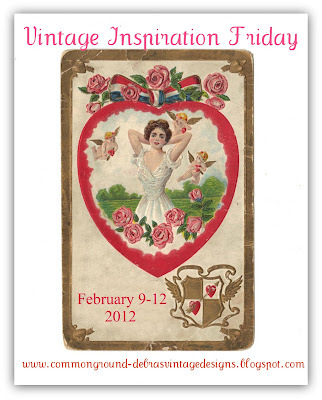 for the Vintage Valentine Party! Just try and buy a sunburst at an auction...I double dog dare you. Decorators snap them up like they are solid gold here in Dallas and have for the past 10 years. I can't even get a whiff of one...though I try! They are beautiful and the last photo really is perfect!! I tried to link up but I get a message saying my post doesn't have a backlink, but it does so I'm not sure what the problem is. Love those mirrors! Thanks for hosting Debra! I see those mirrors everywhere! They are so chic. Thank you for joining me at Home Sweet Home and thank you for hosting! 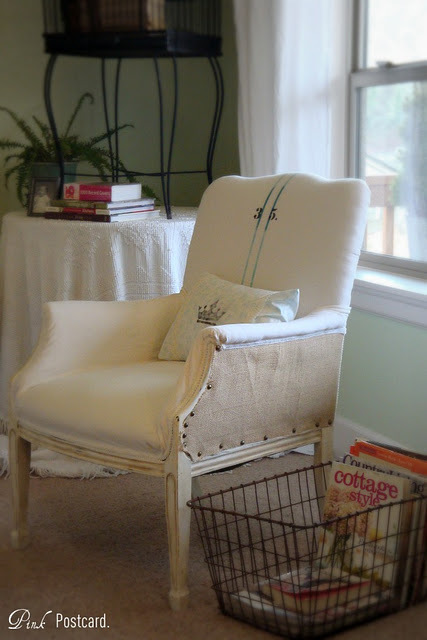 Thanks so much for featuring my daughter's bedroom and for your sweet comments! I feel honored! 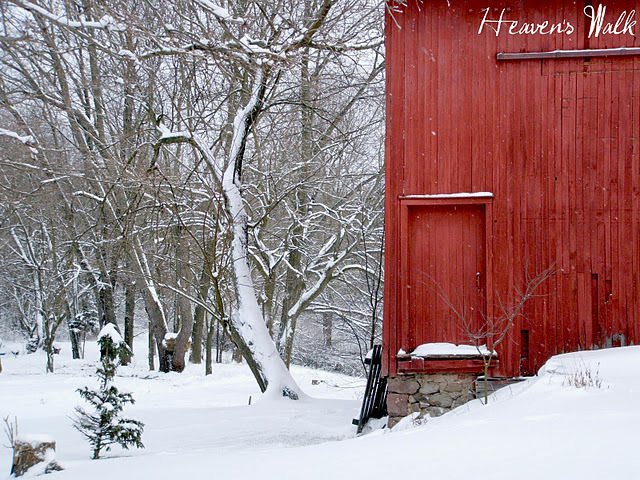 I just love those wintery barn pictures too...I grew up on a dairy farm with old barns so these images bring back a lot of memories! love the features today, debra:) thanks for hosting! Beautiful features, specially Sophia's daughter's bed. I love those mirrors, my MIL had a gorgeous one, but unfortunately she left it to another son, lol! Having dealt in French antiques for a while now, I think French when I see these great mirrors. I have a couple myself, and I think they are timeless. Yes, the history is fascinating. I loved Laurie's post as well...it was beautiful..just like she is! Thanks for hosting this lovely party! Hi Debra... I actually have one very similar to the 4th one down... it was my family's when I was a little girl... when we sorted through my daddy's things, no one else wanted it... I could not bear to see it go to the trash so I brought it home and right now it lives in my craftsroom closet... time to bring it out!... It holds so many memories for me as well... as YES, I ALWAYS have my cute little readers on or I would not be able to see if you were showing me a clock or a lawnmower!... I even have the little necklace thingy that holds them...(I even found a blingy one!) yep, I am not ashamed of that either!!! Makes it easy to type and take them off and on... xoxo Julie Marie PS Maybe you could make some cute little thingies to hold readers for your shop and bling them up??? I would order the first one! Great mirrors. Nice features too. Thanks for hosting. Thank you kindly for hosting, it's a delight to link up! 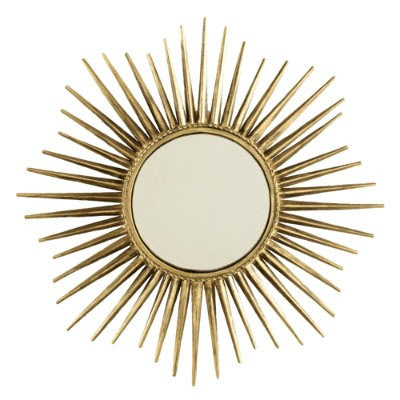 I have been looking for another starburst mirror that doesn't break the bank. The nice ones are so expensive. Thanks for hosting. Wonderful inspirations here! Thanks so much for hosting. I remember them from when I was a kid, after that I thought they were ugly...now I kind of like them again...funny how that goes! Great features Debra I love the barn photo. The snow looks so peaceful. Thanks again for another great linky party. Who'd a thunk those crazy mirrors would be back in style? The mirrors are great. I don't see them too often but they sure make a wonderful statement. Cottage and Creek is all linked up. Thanks for hosting, Debra. Oh I just love the retro look. I want a sunburst clock but alas..... I have no more wall space!! Wait.... Maybe I could build a "false wall"!! LOL!! Just kidding!! I love the features from last week. I also love your header. Thanks for hosting. I LOVE sunburst mirrors. I want to get one but am waiting until I find that perfect one - it's out there somewhere, I know it is!! Love the star-burst mirrors! The features are all just fabulous! Thanks for hosting! I so remember my mother's starburst clock. I so wish that I had it..funny how i never really appreciated then when you are young..Looking for that affordable Starburst Mirror! 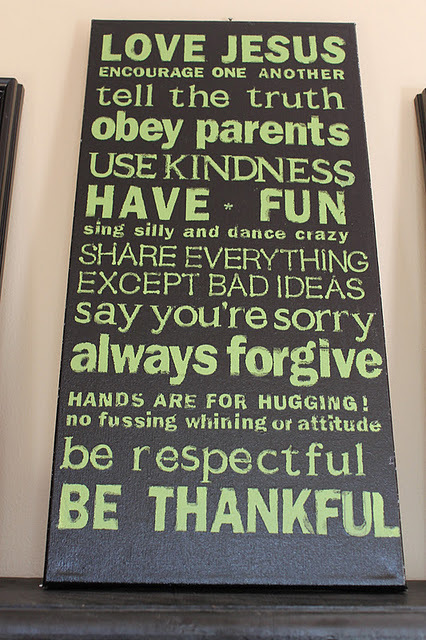 Thank you for hosting..
Love all the versions of these...did the Brady's have one in their house?! Sorry Debra, #6 needs to removed, long story, but it is not a working link. Thank you, and sorry again. One set of grand parents had the sunburst clock with the wood rays. I cannot say it would be a favorite but recently saw something at a home store that was quite striking but still not my style. Hey Debra! Thank you so much for featuring my old barn this week! What a nice surprise! I'm so glad that it brought back some fond memories for you, sweetie! :) Oh....and I'm LUVING your new Valentine header! Beautiful!! My grandma had a sunburst mirror so your post brought back some great memories. Love your new header! Thanks for hosting, Debra. I have a sunburst in my guest room. I don't want houseful, but that one looks great there. Thanks, Debra, so much for an awesome party as always! I linked up a couple of projects, including the latest I'm proud of--my thrift-store knock-off of Anthro's Trinket and Treasure Candlesticks (#146). Thank you so much Debra!!! Such an honor to be featured here! Have a great weekend. Awesome features. Thanks for hosting a great party. Thanks for hosting. Love the mirrors. Lots to read. 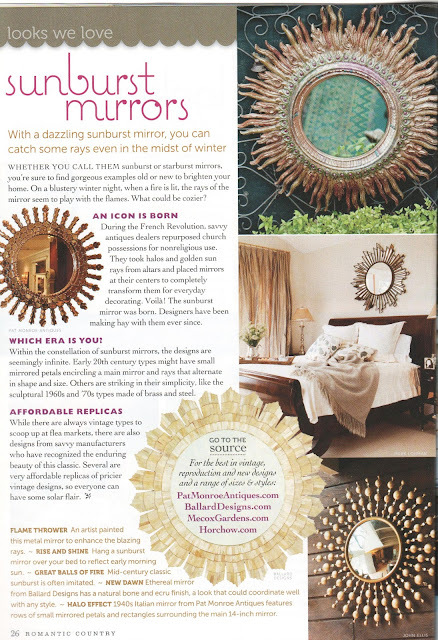 Sunburst Mirror, good reminder of sunshine and summers. Thanks for hosting. Thank you for hosting. I love sunburst mirrors...they are lovely but NOT as lovely as the last picture with the snow and the red barn! I am heading over there to see more! Have a great weekend! Remember I do, always love the starburst mirrors! I linked up a rustic paint stick starburst! Thanks for hosting and really like your Header changes, I'm too chicken! Okay, we HAD that sunburst clock on the bottom, and I HATED it!! But on a happier note I do find the sunburst mirrors to be much more appealing. I love that bed you featured too!! Fabulous features Deborah! Thanx for hosting and cant wait to see what you are up to! Thank you for hosting! I am in love with the mirror trend too! Thanks for all of the ideas! Just had to thank you once again for featuring my hearts from highpointcircle and I am so sorry this is so late in coming--I was away for a bit. You are a generous soul.